Mushrooms are full of vitamins, antioxidants, and other nutrients; they are low in calories and very good for health. Growing mushrooms is not as difficult as you might think. 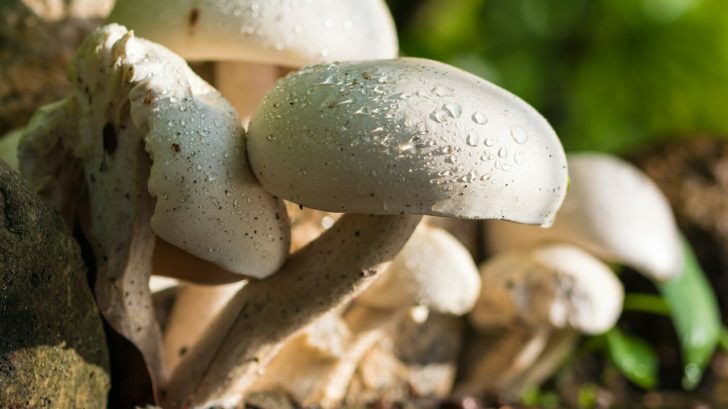 In this article, we will provide you with some useful information which will definitely resolve most of your queries regarding Mushroom growing. Unlike most of the other plants, mushrooms don’t grow from seeds rather they grow from the spores. A dark, cool and moist environment is ideal for mushrooms. Depending on the variety the ideal temperature ranges from 45 to 60 deg F. A little bit of light won’t do a lot of harm to the plant but make sure most of the time the light is absent. One of the easiest ways to start growing mushrooms in your home is to buy Mushroom kits. The best part of a kit is it is already packed with the growing medium and the spawn. You can grow them in trays, bags or boxes. You can also use garden beds to grow them. ose. For a better understanding of composting process check out our earlier articles: 5 tips to faster decomposition. Once your compost is ready, take the mixture in a shady place for providing the ideal condition for mushroom growing. Once you make sure that the temperature of the compost is below 30 deg C start the process of spawning. Add grains of spawns and mixed them properly with the compost. If done properly within two weeks mycelia will grow in compost. You need to provide good ventilation or install a cooling system because those mycelia will increase the heat in the compost. The edible part of the mushroom is the fruiting stage of the plant. You can quicken the process by covering (generally done by using an organic material such as compost, peat moss, cow dung etc.) the top surface of the compost. This is called casing. 1. Buttons: This type is not that good in tastes and primarily for their appearances only. 2. Cups: Have a rounded cap and is next best to Flat mushrooms for eating. 3. Flat: The caps are flattened and the gills are fully exposed. They are the best in taste. Pick the mushrooms in an upward twisting motion. After picking the mushrooms, brush off the compost or dirt and use them as food.